The quality system implemented is not only meets the requirements but also exceeds the customer satisfaction. 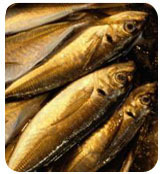 . . with the best in Tuna in particular, and other Seafood too in general. 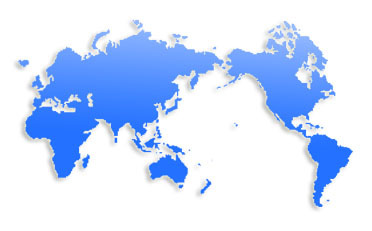 What encourages worldwide customers to look at SLIC Lanka most favorably is the fact that whilst maintaining the highest and most stringent quality standards, SLIC Lanka’s prices are quite competitive. The personnel employed by SLIC Lanka are passion driven in upholding the company’s policy towards providing customers with the best at all times. They are qualified and professionally trained, to enhance their individual skills to match up to the company’s desired standards. These highly skilled and totally committed professional personnel are at hand to ensure the adherence to quality standards, not only in their respective individual area, but even in other areas on a random basis as well. 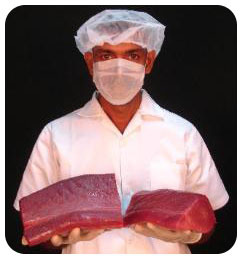 Sri Lanka being a tropical island in the Indian Ocean wherein the climatic conditions are ideal for Tuna in particular, SLIC Lanka is blessed with a speedy supply of significant quantity of Tuna, due to the fact of Sri Lanka’s maritime territory being limited to just 200 miles. This situation ideally compliments the company’s ability to process 8000 kgs a day. 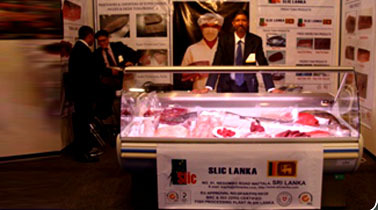 As much as focusing on obtaining the highest quality in Tuna and other seafood, every other detail too are attentively and consistently taken care of, to ensure compliance with the SLIC Lanka’s revered policy. The results of pursuance of these high standards with passion has seen SLIC Lanka expanding its customer base to most parts of the discerning markets in the world.